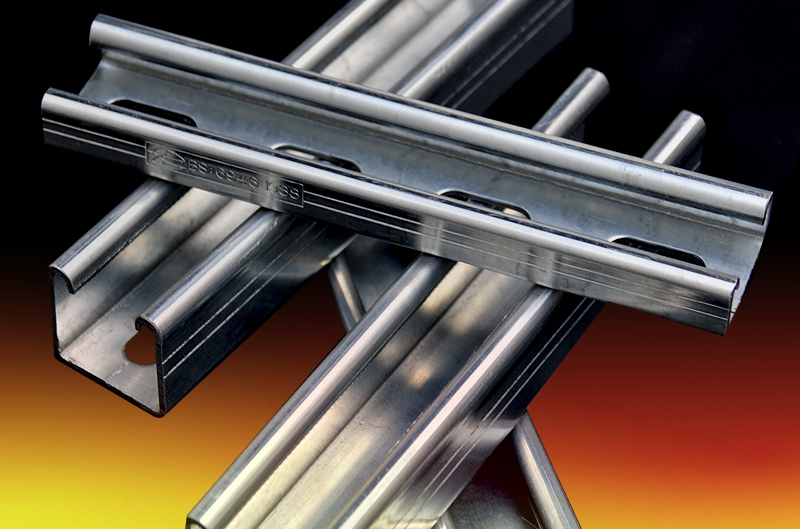 Strut Framing channels manufactured in house to BS 6946 1988, from Prime S280 minimum yield – Pre Galvanised steel. All our strut channels can be supplied plain or slotted (slot sizes 28x12mm or 28x14mm). Supplied direct to mechanical and Electrical distributors and Wholesalers, who source from a supplier, they can count on to deliver to schedule.